Lost in love among the beauty and fragility of life’s most delicate creatures, Debbie is a mother to all, radiating a calming serenity with her warm smile and keen intuition. As a mother, she knows how magical and yet fleeting are the newborn days of teeny toes, tiny wrinkles and soft squishy lips! Her creations are not only a timeless work of art but an enchanting window back to a most vulnerable and perfect beginning. wraps and bonnets, many of which fulfill another of Debbie’s passions. She is an avid and eager knitter, scouring the hillsides for beautiful fibers and transforming them on rainy days into tiny treasures and beautiful backdrops. To fabricate her visions and set the stage for her littlest showstoppers another love of hers aids in the creativity. She is a collector of vintage props and fabrics, keeping everything unique and adorable. 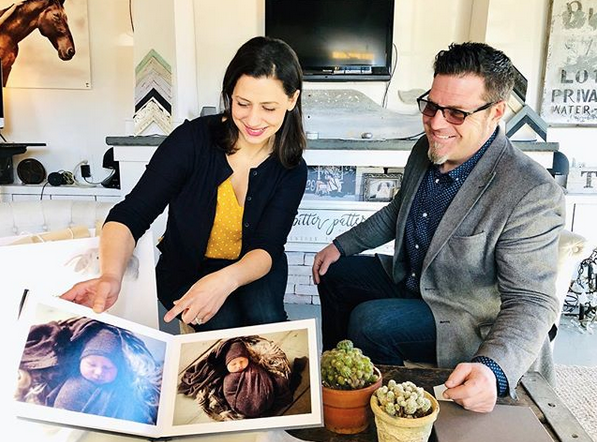 On this 18 year path of developing her love of photographing, enjoying the art of graphic design and editing, Debbie has found this most perfect union. She has two little loves of her own, Lily and Eve, and one big love Michael who all encourage her passions and creativity. 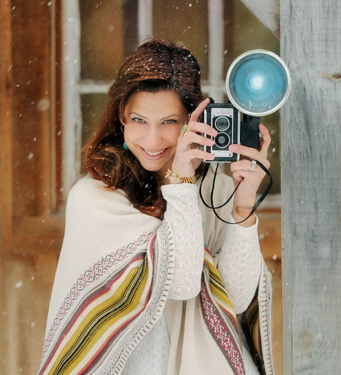 Her photography entwines your little cherubs into works of art you will cherish forever. She works with babies in their first few days of life through their toddler days and loves to include that special fluffy friend that will grow up beside them. It is truly a gift having Debbie capture the sparks that set aglow the tiny new life in your world!